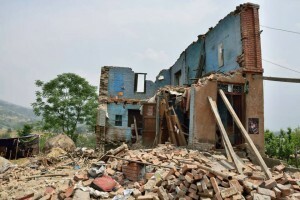 After an earthquake of horrendous magnitude in Nepal at the end of April 2015, followed by strong aftershocks, living conditions have become unbearable for the population of Nepal. Most houses have been destroyed, the ones left over badly damaged, threatened to collapse. People are living in the open, some share tends to find provisory shelter from the monsoon which regularly covers the country in June with flooding rains. 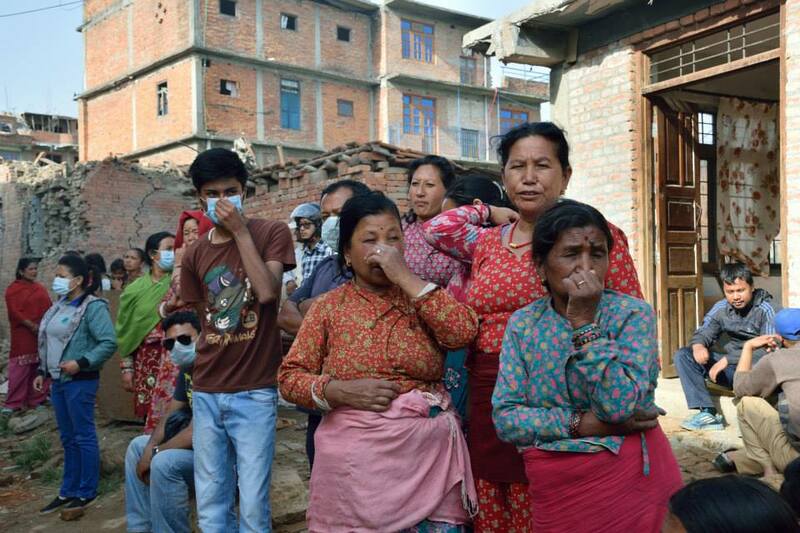 A vast majority of the people has lost everything, they desperately need tends, blankets, food and drinking water. 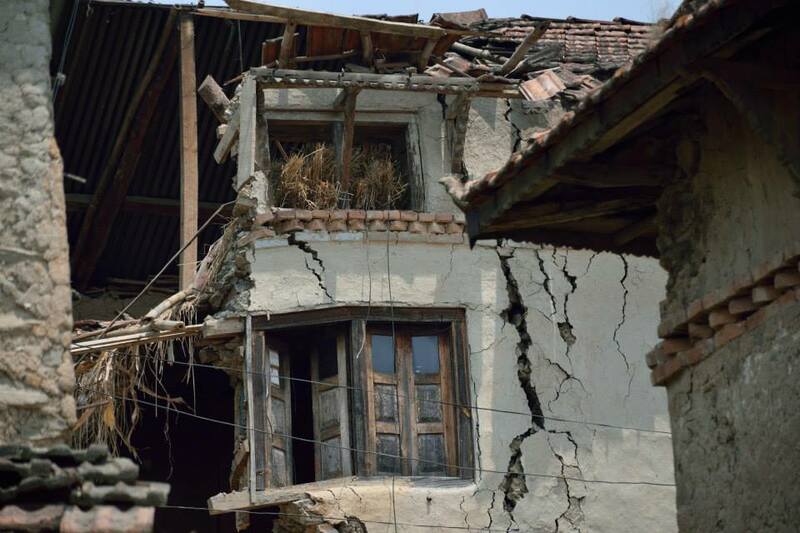 Immediately after the first earthquake Karin Tag has set up a local team to help actively and independently in available unbureaucratic ways. 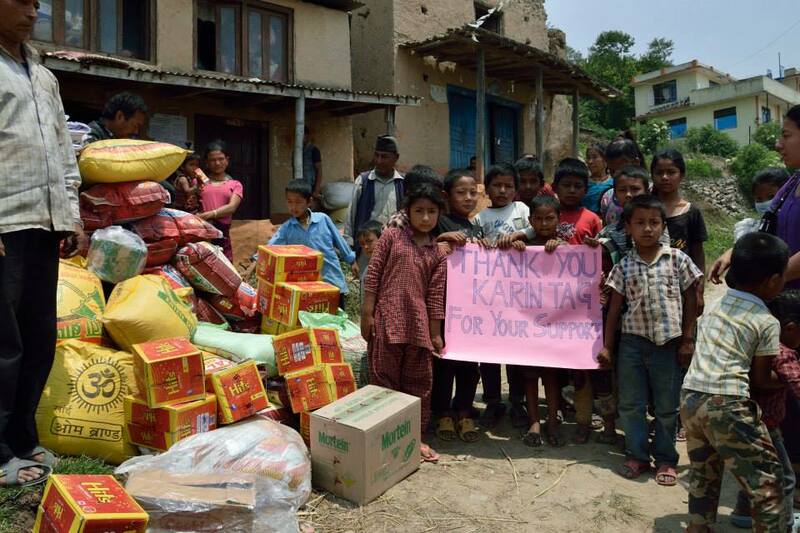 From money Karin Tag donated, the team of helpers from Kathmandu buys what is needed in Nepal to be dispersed among the needy: tends, tarpaulins, rice, corn, pasta, salt, oil, and drinking water. 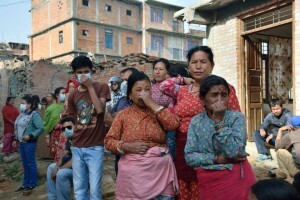 Used water for sanitary needs is scarce in the camps of Kathmandu thus worsening even further existing health problems. 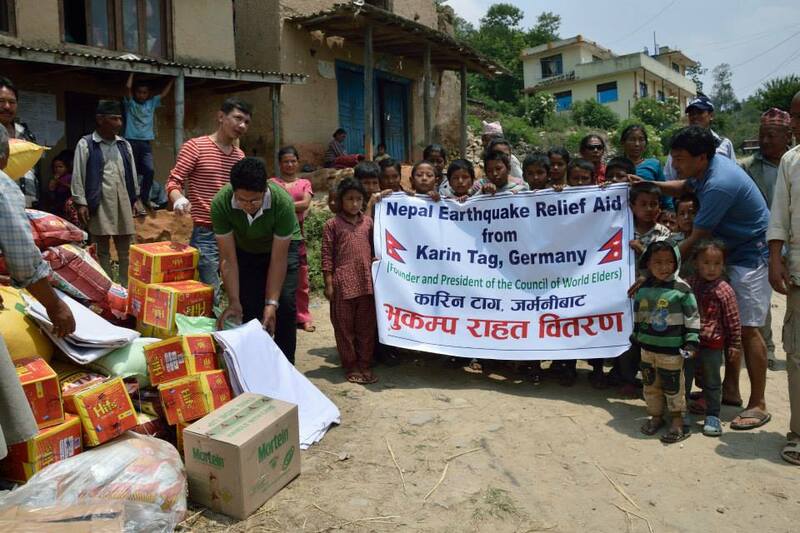 Karin Tag helped the camps set up by the local people themselves which were in dire needs by supplying water tanks with fresh and used water. Much help is still needed, however. Too many people have to share a tend, causing heart diseases, insomnia, colds, etc. Please help with your donation ! 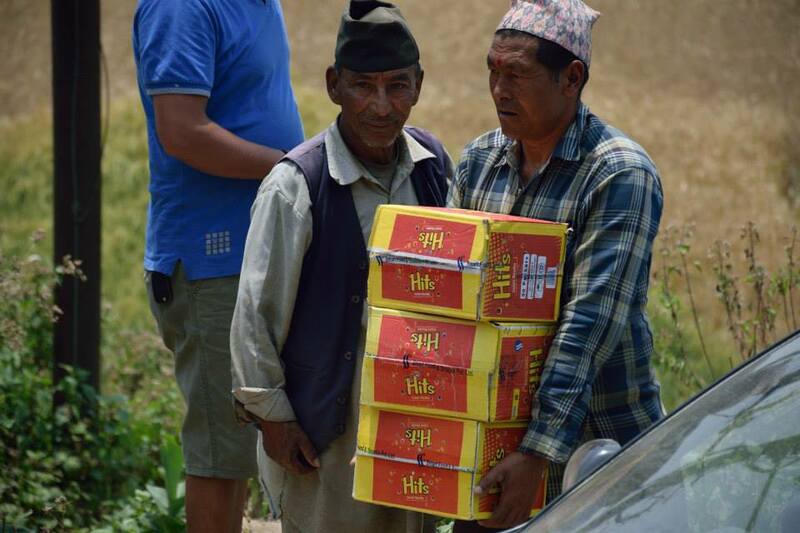 It will be directly sent to the local Nepalese team. 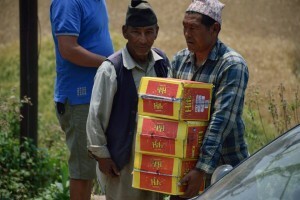 The distribution of relief supplies will be documented by photos.